Testimonials | Third Law Brazilian Jiu-Jitsu: Naples / Fort Myers / Bonita Springs / Estero, Florida's Elite Brazilian Jiu Jitsu ( BJJ ), Judo, Submission Wrestling, & No-Gi Grappling Program. 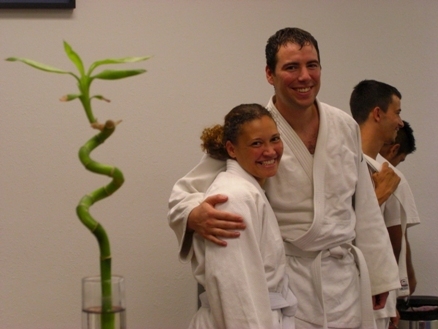 "I joined Roberto's class with my wife, and she loves bjj and the environment, as do I. I highly recommend this program"
This is an excellent program. The learning environment is very friendly and open, and at the school one feels like he is among family. Roberto is a great teacher, and he makes class fun and challenging. His method is simple, but effective: drill the basics until you build muscle memory, build a game plan so that you can choose 3 moves or counter-moves from each position, be in as a good a shape as possible, and set 3 month goals and keep track of your progress to be able to review and trouble shoot any issues. With this game-plan, even the most unathletic person can get proficient at this discipline. 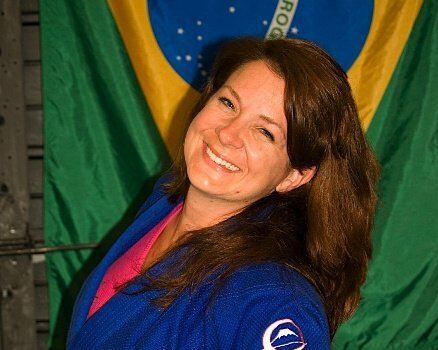 I joined Roberto's class with my wife, and she loves bjj and the environment, as do I. "After only being a 6 month white belt I placed 2nd in Copa America in both the Gi and No Gi divisions..."
Coming in to Third law BJJ I was not exactly sure what to expect . Like anything new one has a feeling of nervousness, wow was I wrong. The environment at Third Law is one of humbleness and respect. We all try our hardest to help one another. In other words we have no egos. From the get go you are given a basic Orientation Class in which you are exposed to the rules of BJJ and the raw fundamentals. So after only one class you already have some what of an understanding of what you are going to be getting here at Third Law. At other schools I have been in the past they just throw you in there and it's a rather sink or swim environment to say the least. After switching to Third Law I was amazed at what I Had been missing. After only being a 6 month white belt I placed 2nd in Copa America in both the Gi and No Gi divisions and I feel rather confident in my abilities to beat higher belts from other schools who do not train as hard and as motivated as we do here at Third Law. Not bad for a six month hit belt ;)! "I looked at all the rest, and even did some training at a few. What I found is that I was either being thrown to the wolves as training fodder for the more experienced or receiving little to no training at all." What can I say? What I can say is that Third Law BJJ with Roberto Torralbas is the school to be in! At 56 years old I tend to do a little research on what I spend my money on and chosing a good school for my BJJ training was no exception. I looked at all the rest, and even did some training at a few. What I found is that I was either being thrown to the wolves as training fodder for the more experienced or receiving little to no training at all. I was looking for a school that stressed the fundamentals, had a defined plan, and a track record of success. Roberto comes to his school from a background of the highest pedigree that teaches a winning format. His style is to make sure you learn what you're being taught in simple, straightforward terms. He takes the time to explain each and every move and the how and why of what makes it work. Something I have only seen at his school. I've been around the block in my life with many forms of athletic endeavors, been involved with Intructors both good and bad, and feel that my choice of signing up with Roberto's school was a wise choice. I haven't met anyone from his school that feels any differently. "The Apple doesn't fall far from the tree..."
I know that you may have heard the saying, "The Apple doesn't fall far from the tree. ", and in this case that is 100% on the mark. Roberto Torralbas has trained under some of the greats, people not afraid to put in on the line, people that don't hide behind rank... Competitors. He is with the #1 Team in America. Trained under the likes of Danny Ives, Julius Park, and Lloyd Irvin. 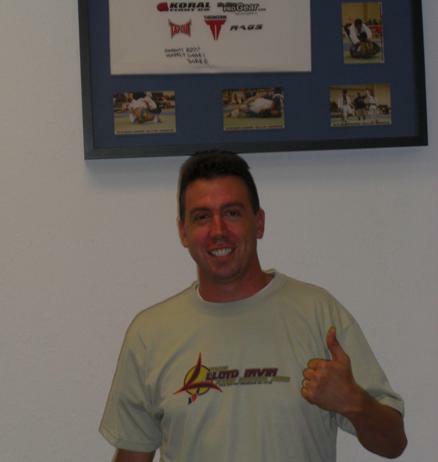 Lloyd Irvin, is a Grappling Hall of Famer that was inducted along with Royce Gracie. 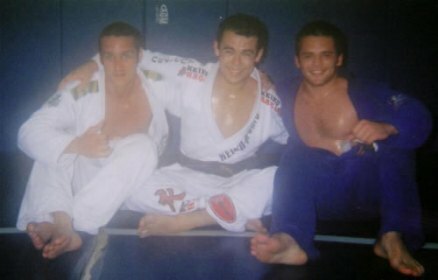 Roberto has had a passion for BJJ and Martial Arts and from the second I met him I knew that he was going to be special. After only training 7 months as a Blue Belt he won the Pan Ams. When it comes to teaching and coaching I have a good eye for that because I am Team Lloyd Irvin's Boxing Coach. I have been around combat sports my entire life and through that learned how to spot talent for sports and coaching (teaching). Roberto is rare because he has both talent to still compete and ability to teach. "I recommend Third Law BJJ school to anybody that would like to be part of a very friendly group of students..."
I have been a fan of BJJ for many years and fortunately have found Third Law BJJ here in Naples, FL. During some months of training, it is very impressive how I was able to improve my BJJ skills and also stay in an excellent shape. Roberto not only teaches his students self defense skills and basic moves but also BJJ in a competition level which makes it a great sport to practice. I recommend Third Law BJJ school to anybody that would like to be part of a very friendly group of students and at the same time learn a lot about BJJ. 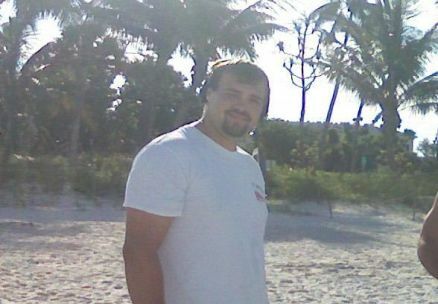 Roberto is a excellent teacher and motivator which makes his classes not only fun but very productive. Thank you Roberto for allowing me to be part of this great group of people!!! "The environment is great because just when you think you can't go any longer you have your teammates pushing you all the way"
With only about 4 months training in Third Law, it has not only been the best training I've had so far, but I've had a lot of fun while learning Jiu Jitsu. The environment is great because just when you think you can't go any longer you have your teammates pushing you all the way. While starting I didn't really know what I was doing but started seeing progression little by little. "After your first night you will be hooked"
You will not find a better place to train than with Roberto. His school provides a fun, friendly environment that still provides an excellent workout. His enthusiasm is infectious. After your first night you will be hooked. "...the main reason I enjoy training at Third Law: the friendly and egoless team"
I came to Third Law BJJ in February, 5 months ago. I was always in shape, doing a lot of conditioning on my own, but I wanted a challenge, something that could push me to achieve more enhanced tangible goals. The moment I walked through the door at Third Law, I knew I had found something good based on the drills everyone was doing and the perspiration on everyone. Roberto enthusiastically greeted me, followed by many others. Which brings me to the main reason I enjoy training at Third Law: the friendly and egoless team. For me, I have no only found a great place to workout, but I have also joined the company of great people who always push me to improve my game. Training is offered everyday, which allows both the casual BJJ practitioner and the most serious of competitors alike to a forum to train. This is the best school in town, hands down. "...I have lost almost thirty pounds, and most of that came in the first month… When I talk to friends in New York who train under world-renowned Matt Serra they are shocked at the amount of time he dedicates to developing his white belts"
I have been training under Roberto Torralbas for the past six months. In that time, I have lost almost thirty pounds, and most of that came in the first month. Roberto runs an intense program. When I talk to friends in New York who train under world-renowned Matt Serra they are shocked at the amount of time he dedicates to developing his white belts. It's a great program, friendly environment, and I can't say enough about Roberto. 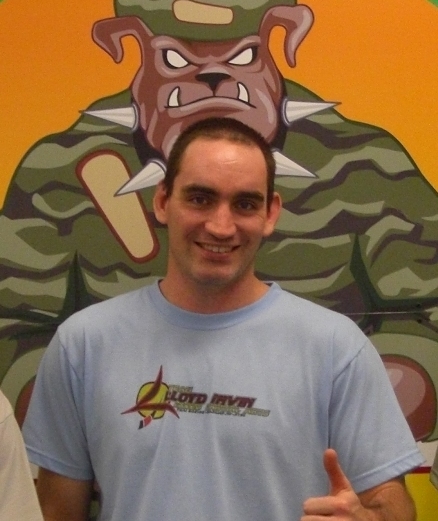 He's a great instructor and is always looking to help his students, both on the mat and off. Third Law BJJ is a great place to train. "What I learn and the workout I get at Third Law is like nothing I've experienced before"
I first joined Third Law to occupy my time and to learn a new skill. Once I started I've become somewhat obsessed with Jiu Jitsu. I love the art, the workout I get, and the environment that Third Law provides. I lost 8 lbs. in the first 2 weeks of class which was pretty amazing in it self. What I learn and the workout I get at Third Law is like nothing I've experienced before. "If you are in Southwest Florida and want to train Brazilian Jiu-Jitsu, Third Law BJJ is the only option"
My name is Fred Ramie I am a BJJ Purple Belt and Pan-American Bronze medalist. If you are in Southwest Florida, and want to train Brazilian Jiu-Jitsu, Third Law BJJ is the only option. 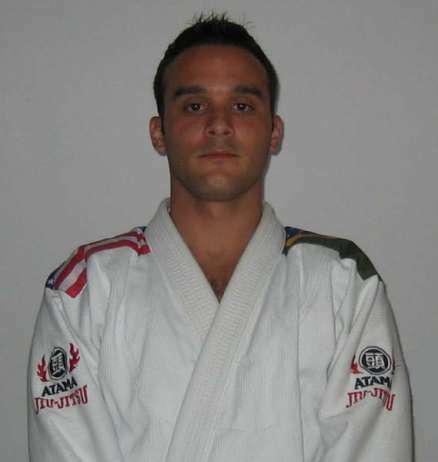 The Head Instructor Roberto Torralbas is a Pan-American Champion and an excellent instructor. He comes from Team Lloyd Irvin under Julius Park and Danny Ives. Unless you are embedded in the jiu-jitsu community it will be hard for you to determine what school to join. You must see it for yourself to by visiting Third Law BJJ. You will be impressed. "My name is Ingrid I was looking to get in shape. I got so much more than that." My name is Ingrid I was looking to get in shape.I got so much more than that. In just 2 weeks I could tell a difference in my endurance as well as strength just from Roberto's conditioning routine. Also,I am learning incredible self defence. BJJ teaches you how to fight on the ground it only makes sense that a female would want to learn this. Also I have met a lot of nice people, and I am part of a awesome team. I cant say enough good things about Roberto, and how comfortable and welcomed He has made me feel. "I'm pumped to hear about your new school, and I would love to teach a seminar down there." I'm pumped to hear about your new school, and I would love to teach a seminar down there.Let me know when you want to do it. For those who don't know Roberto won Pan Ams as an 8 month blue belt,and recently competed in the ADCC North American 191lbs weight class despite tipping the scales at 172 lbs. He ended up losing a super close match by just one takedown. He's a beast! 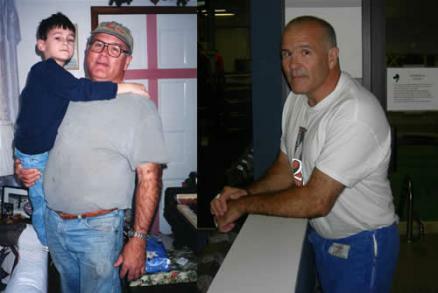 "I can't believe the improvements I've made with muscle tone, endurance, and overall energy gained." I have been training with Roberto at Third Law Jiu Jitsu for over a month now. In this short time, I can't believe the improvements I've made with muscle tone, endurance, and overall energy gained. 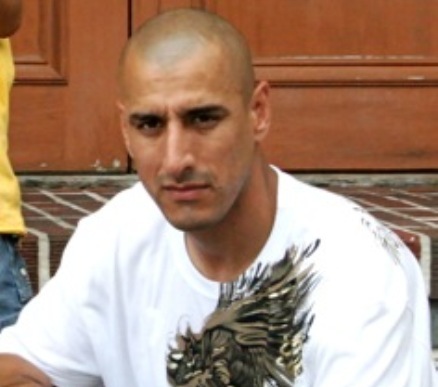 I first started taking Roberto's class to get in shape and learn a few self-defense techniques... I'm gaining all of that and more! 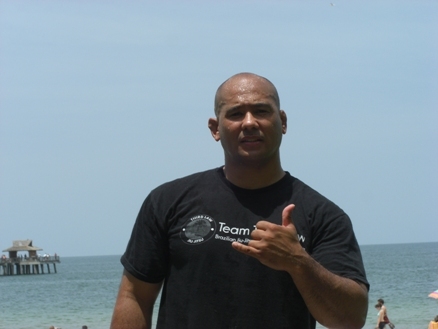 Roberto is an amazing motivator, extremely dedicated, and very knowledgeable about Jiu Jitsu. It is so much more fun than just going to the gym. Thank you for all of your support and welcoming me into your family Roberto! "Now that he has opened his own school I have no doubt in my mind that it is going to turn it into the best BJJ gym around." First, I have to say congrats on the new school Roberto! Second, I wanted to tell everyone a little bit about Roberto and my experiences with him. I met Roberto a few years back at Cornell University when I was there for a seminar. After the seminar, I trained with everyone in the room including Roberto and when I left to go back home I remember thinking that one guy was super tough and was going be really good. Well, that guy turned out to be Roberto. When I get back home people asked me what I thought about the Cornell BJJ program and I told them to keep an eye out for this guy named Roberto Torralbas. Sure enough, Roberto started entering tournaments all over the nation. Many gold medals followed, and they haven’t stopped coming since then. I have known many great fighters and Roberto ranks right up there with the best of the best. His never-give-up attitude and his unbelievable technique separates him from the pack. Now that he has opened his own school I have no doubt in my mind that it is going to turn it into the best BJJ gym around. I know this is a bold statement, but that's how great I think Roberto is. He is not just a great Jiu-Jitsu competitor but also a great coach and teacher. So just as I told people years ago to look out for Roberto Torralbas the fighter, now I tell them to look out for Roberto Torralbas the fighter....and the teacher! "It gives you a really good sense of a healthy lifestyle; you find your self making better decisions..."
"I have lost already almost 20 pounds!" "I have always wanted to train in BJJ, but I never felt comfortable with some of the "ego-driven" instructors and their ways of training. That all changed when I walked into Roberto's class..."
Hello, my name is Justen Nelsen and I began training with Roberto on May 1, 2007. I have always wanted to train in BJJ, but I never felt comfortable with some of the "ego-driven" instructors and their ways of training. That all changed when I walked into Roberto's class. With Roberto you are not just another face you are in fact part of a family. All he asks is that you train hard, show respect, and take care of one another on the mats. This is honestly the hardest thing I have ever done in my life, but the rewards are incredible. Through Roberto's vigorous workouts I have developed flexibility, strength, and stamina that have all contributed to shedding weight (currently 10lbs. ), and my confidence is at a level that I have never experienced before. I have become addicted to BJJ and I owe it all to Roberto and his passion for the sport. Each training session I am inspired to train harder and stronger then the previous in attempts at one day being able to hang with Roberto, but for now I will just continue to do my best and set aside the rest. If you are thinking about joining the world of Brazilian Jiu Jitsu, stop wasting time and call Roberto...your life will never be the same. Thanks Roberto. "Give it a shot...you will NOT be disappointed." Roberto Torralbas is a beast! 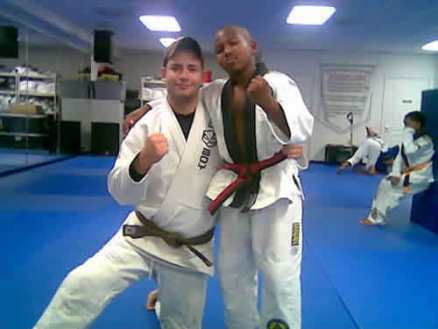 In almost no time at all, he went from brand new white belt to Pan American Champion (while going to a prestigious university full-time and earning his degree), and he can take you there, too. Roberto has learned from some of America's best (Lloyd Irvin, Danny Ives, Julius Park), and his approach to training is as systematic and scientific as they come. Don't miss the opportunity to train with one of America's best up-and-coming Jiu Jitsu fighters! Give it a shot...you will NOT be disappointed. "A little over two years ago I was given the chance to train with Roberto Torralbas. Ever since that night Roberto has been so eager to help me improve my jiu jitsu." A little over two years ago I was given the chance to train with Roberto Torralbas. Ever since that night Roberto has been so eager to help me improve my jiu jitsu. He could answer all my questions and would help me drill the technique that I was having trouble with until I understood. Last year at the Pan Ams after Roberto had dominated his own division he came up to me and sat for a while as he helped me put together my own game plan. It has been a great experience being able to watch Roberto travel and compete. He is a very technical fighter which makes him even more exciting to watch. Roberto trains harder than any one I know. I have heard many stories of his training routine while he was at Cornell and I don't think that many other people would be able to pull off what he did. Not only is he a great instructor and competitor he is an awesome friend. If I ever had a problem Roberto made it clear that he was there to talk to even if it was not training related. He is a very positive person and has a great attitude towards training. I am glad that I have had to privilege to train him. "Now at 52, I am in the best condition of my life since I was 21. Without a doubt BJJ saved my life!" I started Brazilian Jiu Jitsu five years ago after a friend convinced me that I should try it. I was weighting about 250 pounds and was drinking too much. But shortly after starting BJJ, I broke my neck in a car accident and was told I would never be able to do BJJ again. Defying the odds, I was back on the mats, within four months after the accident. I used BJJ to get my weight down to 178 pounds and to rehab my neck. Now at 52, I am in the best condition of my life since I was 21. Without a doubt BJJ saved my life! BJJ has also given me the opportunity to meet some very nice people. Roberto Torralbas is right at the top of the list! Training with him is a joy because of his contagious enthusiasm and the technical ability he brings to the mats. He is a reservoir of knowledge, and I love tapping into his technical know how. Obviously I cannot wait to go to Naples / Fort Myers / Bonita Springs, Florida to train with him. I recommend BJJ with Roberto to anyone of any age who is interested in physical conditioning, meeting new and friendly people, and increasing his/her self esteem. "I can't even to begin to explain the results I have experienced with this man's incredible class..."
Hey everyone, my name is Jullian Rives. 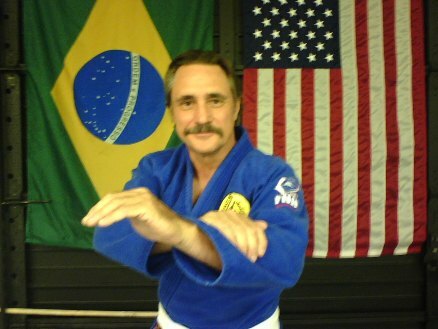 As of today, May 31 of 2007, I am 16 years old and I have been taking Roberto's Brazilian Jiu-Jitsu class for about a month and a half, closing in on two. I can't even to begin to explain the results I have experienced with this man's incredible class. The results I have reaped from this class are not only physical, but mental as well. I believe any form of the arts are mentally enlightening and teach you many life lessons and respect for others. Through Roberto Torralbas' class, I feel like I have become a better person, and a better martial artist as well. Roberto has been an amazing instructor and a wise figure for me to look up to during rough times in my life. He has made me and countless others feel like family when we come together to train. This man's flawless technique, flow, and teaching ability has helped me grow so fast in BJJ and through his vigorous training alone, I have gained weight in muscle, starting the class at 155 pounds and right now currently being at 162 pounds. From the moment I met him and took his class, I knew I couldn't go wrong, or find anyone better to learn from than Roberto Torralbas. Thank you for giving me hope. 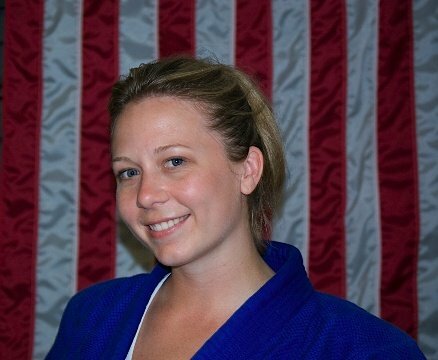 "With less than a year of grappling experience, I ended up taking first place in my first grappling tournament." Roberto Torralbas is an elite Brazilian Jiu Jitsu practitioner, but he is moreover a terrific instructor and friend. 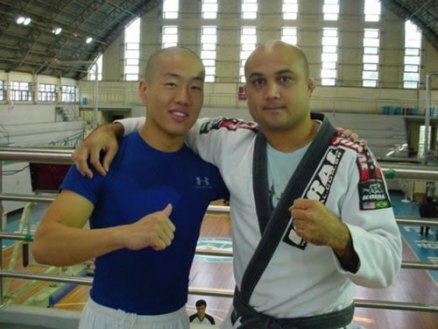 While training with him at the Cornell University BJJ club, he motivated me to reach my highest potential as a beginner. He went through every move in detail and kept pushing me— sometimes to the point of frustration—in our rolling sessions. But all of his criticisms were constructive and deeply helpful. I am a stand-up striker by nature and initial training, but Roberto fueled my desire to become the best BJJ fighter I can be. When I first started learning BJJ, I was discouraged by my inability to remember all the moves that I was being taught and also with my lack of grappling-oriented conditioning. As a 4th degree black belt in Kenpo Karate the experience was humbling to say the least. But Roberto’s encouragement and sharing of his vast knowledge helped me to overcome my frustrations. I am now addicted to the art of BJJ and it has a lot to do with him. 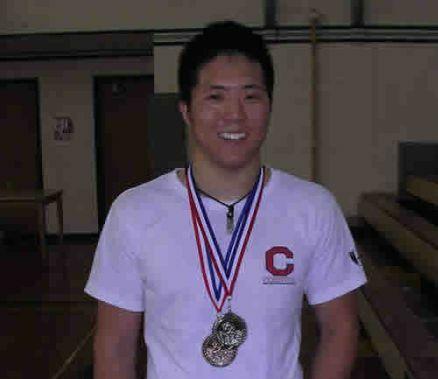 With less than a year of grappling experience, I ended up taking first place in my first grappling tournament. For anyone interested in training hard and learning first-class Brazilian Jiu Jitsu from a first-class gentleman, I would absolutely recommend Roberto. A big regret I have is not being able to train with him currently. "He inspirers people both mentally and physically by leading the way." The ability to coach or teach is not easily learned. The ability is picked up slowly, piece by piece and cannot be rushed. I believe that Roberto has this unique coaching ability and has been improving it ever since we met. Roberto possesses many coaching techniques but also has a special understanding of people. He realizes that everyone has a different personality and relates to everyone differently. This quality is very valuable because it cannot be taught and is very beneficial to the teaching process. Roberto is a great instructor, an outstanding competitor and a friend. I have trained and learned from him for a year and a half. The motivation he brings affects everyone training with him. He inspirers people both mentally and physically by leading the way. Roberto’s motivation and coaching ability makes for a very effective instructor, a dominant competitor and a good friend. "Roberto helped me develop a style that better fits my athletic abilities, and he has helped me immensely with the mental part of the game." I had the opportunity to train with Roberto at Cornell University Brazilian Jiu Jitsu Club, and I must say that he is one of the best and most talented Jiu Jitsu practitioners and teachers out there. He will help you be the best you can be. Most important, he practices what he preaches. If he asks you to leave everything on the mat, you will see him do it himself. 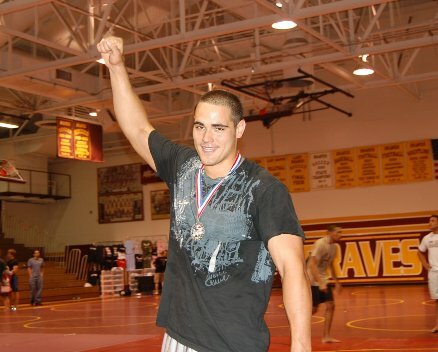 He has proven himself on the mat many times winning numerous tournaments all over the country. Roberto has played a pivotal role in my development as a Jiu Jitsu practitioner, and he has helped me to develop my own game. Roberto helped me develop a style that better fits my athletic abilities, and he has helped me immensely with the mental part of the game. Unluckily we live in different parts of the country now, but if I had the chance, I would train with him again in a heartbeat. If you are looking for somebody that will help you develop your own style, and that will push you to the limit, then you are in the right place. Roberto IS NOT the kind of teacher that asks anything from others that he would not do himself. "With his help I was able to win my first grappling tournament." I was introduced to Brazilian Jiu Jitsu as a freshman in college and was immediately drawn to the intensity and practicality of the sport. However, with no prior grappling experience, I was intimidated by the level of my peers and what seemed like I was not getting any better. Then I got the chance to train with Roberto. His love of the sport inspired me to try my hardest at every practice and his vast knowledge helped me to get through the rough times when it seemed as if I had hit a plateau. Roberto took a one-on-one approach to immediately correct any of my problems and provide insight on how I could advance my game. As a competitor himself, he knows how to train you to become the best Jiu Jitsu player you can be. 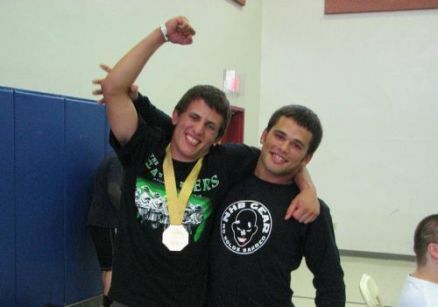 With his help I was able to win my first grappling tournament. I have no doubt in my mind that my Jiu jitsu game would not be at the level it is now without the help of Roberto. He is a great BJJ player, but mostly a great friend. Roberto Torralbas is definitely one of the best BJJ coaches I have ever had!